Sam and Henny Pollit have too many children, too little money, and too much loathing for one another. As Sam uses the children's adoration to feed his own voracious ego, Henny watches in bleak despair, knowing the bitter reality that lies just below his mad visions. 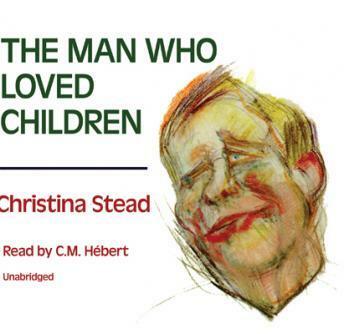 A chilling novel of the relations between parents and children, husbands and wives, The Man Who Loved Children is acknowledged as a contemporary classic. This book was very slow and was way too long. I would not recommend wasting the many hours that I did listening to these 15 CDs. I kept waiting for a climax or revelation but there was none.